There is currently an emerging outbreak of Nipah virus in Kerala, India, which has proved fatal for 17 individuals. The outbreak started in mid-May in the Kozhilode district of Kerala, later spreading to the adjacent Malappuram and Wayanad neighbourhoods. At present only 18 people have tested positive for the virus. As 17 of these have died, the fatality rate of this outbreak is particularly concerning. Well over a thousand contacts of these patients have been identified and are being observed for signs of infection. As this is an evolving situation much is unknown. Some of the deaths have occurred in family groupings, suggesting that human to human transmission has occurred. Furthermore, one patient was a nurse who had taken care of Nipah patients. Since the disease is often carried by fruit bats or pigs, samples from local animals have been sent to the National Institute of High Security Animal Diseases in Bhopal, but all samples have proved negative so far. Although there is no licensed treatment for Nipah virus, the experimental medication M 102.4 – a monoclonal antibody to the Nipah virus that could aid our immune system in fighting the infection – has now arrived in Kerala from Australia, ready to be trialled in patients if necessary. The Indian Government has announced that at present all infected individuals are thought to have been contacts of the initial case, suggesting that there might not be an ongoing source of infection. As further cases of Nipah infection are being confirmed, the control of transmission has not yet been achieved. Nipah virus infection is a newly emerging zoonosis that causes severe disease in both animals and humans, with a 40% to 75% fatality rate in human cases. A zoonosis is a disease that can be passed from animals, both wild or domesticated, to humans. 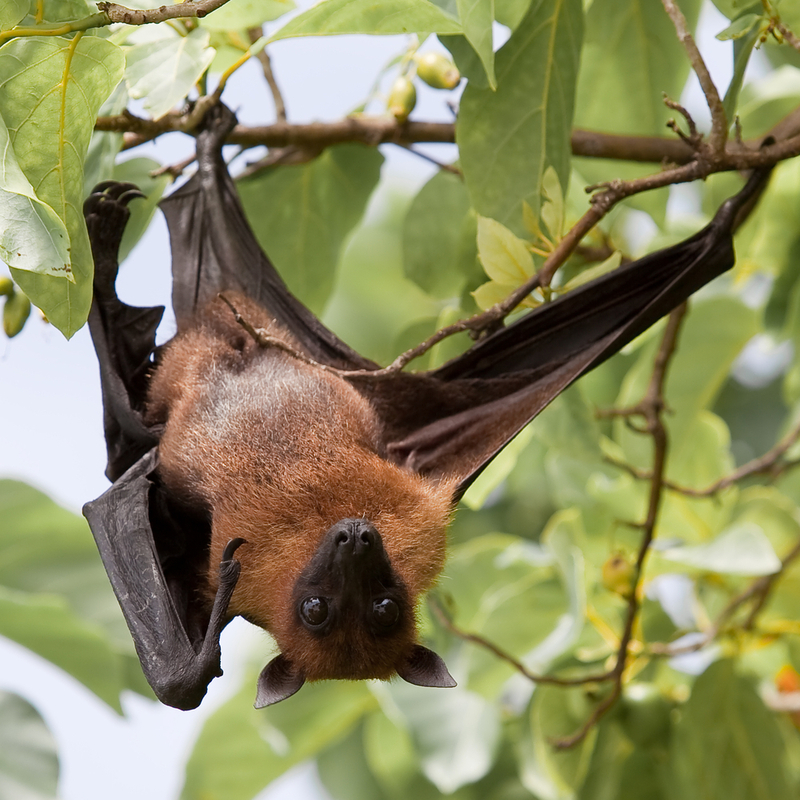 The natural hosts of the Nipah virus are fruit bats or ‘flying foxes’. The name originated from ‘Sungai Nipah’, a village in the Malaysian Peninsula where pig farmers became ill with the disease between 1998 and 1999. Nipah virus infection in humans has a range of clinical presentations, from nothing at all to an acute respiratory illness and fatal brain inflammation. The virus is also capable of causing disease in pigs and other domestic animals. Nipah virus is considered a Biosafety Level-4 Pathogen (the highest level of risk in laboratory workers) and is listed as an agent with high risk for public health and security due to its high mortality rate in humans and the lack of effective vaccines or therapies. Transmission of Nipah virus to humans may occur after direct contact with infected bats, pigs, or from other people infected with the virus. In the first identified outbreak in Malaysia and Singapore, humans were affected with Nipah virus through close contact with infected pigs. The identified strain of the virus appeared to have been transmitted initially from bats to pigs, with subsequent spread within the pig population. Incidental human infections resulted following exposure to infected pigs. No occurrence of person-to-person transmission was reported in this outbreak. However, in a further outbreak in Bangladesh in 2004, human cases of Nipah virus occurred as a result of consuming date palm sap that had been contaminated by affected fruit bats. More recently, person-to-person transmission of the virus between family members and care-givers in Bangladesh and India has been regularly reported. After an incubation period of 1- 2 weeks, infection with Nipah virus usually presents with fever and headache, often with coughing and disorientation. Before long, inflammation of the membranes of the brain sets in, resulting in seizures and loss of consciousness. Seven out of 10 cases can end in death. Swallowing difficulties and blurred vision. High blood pressure, fast heart rate, very high temperature. Seizures in 25% of patients – more than half of whom become comatose. Of those who survive, one-third has permanent, crippling neurological disorders, such as persistent convulsions and personality changes. Latent infections, with subsequent reactivation of Nipah virus, have also been reported months and even years after exposure, some cases resulting in fatality. Nipah virus infection can be confirmed by taking throat and nasal swabs and isolating the virus with laboratory testing. The virus can also be identified in samples of urine, blood and cerebro-spinal fluid – the fluid which bathes the brain and spinal cord. In the later stages of disease, confirmation of infection is made by testing of blood samples for the presence of antibodies to the Nipah virus. In fatal cases, immuno-histochemistry on tissue samples collected during autopsy may be the only way to confirm a diagnosis. This is where an actual biopsy sample is specially stained, showing the presence of the virus directly in the tissue. Treatment is limited to supportive care. Since Nipah virus infection can be transmitted from person-to-person, strict infection control practices and controlled barrier nursing techniques are important in preventing hospital-acquired infections. Patients usually need to be treated in Intensive Care Units in order to support their respiratory systems with mechanical ventilation. Other important therapies include the administration of intravenous fluids, the support of the circulatory system and the prevention, or treatment, of secondary infections. Drugs are being trialled to assess their effectiveness in human cases – such research is being hampered by the limited access to human cases. Promising results have come from animal studies, however, which have shown that passive immunization, using human monoclonal antibodies, has been found to be effective. There is no commercially available vaccine and there is no pharmaco-therapeutic agent to treat the disease. It is important to avoid exposure to sick pigs and bats in endemic areas in order to help prevent Nipah virus infection in humans. People should also be advised not to eat raw date palm sap. Surveillance tools should include reliable laboratory assays for early detection of Nipah disease in communities and livestock. It is important to raise awareness of transmission and symptoms in vulnerable communities in order to reinforce infection control practices and also to avoid human-to-human infections in hospital settings. A specialised vaccine that produces cross-protective antibodies against both ‘Hendra’ and Nipah viruses has recently been used in Australia to protect horses against Hendra virus. This vaccine has more recently been shown to be effective in preventing Nipah virus in African Green Monkeys, and therefore offers great potential for Nipah virus protection in humans as well. The virus was initially isolated and identified in 1999 during an outbreak of neurological and respiratory illness among pig farmers and people with close contact with pigs, in Malaysia and Singapore. This outbreak resulted in 265 cases of acute encephalitis with 105 deaths, and the near collapse of the billion-dollar pig-farming industry. It was initially attributed to Japanese Encephalitis (JE), and thus early control measures were ineffective. This resulted in the spread of the outbreak to other parts of Malaysia and nearby Singapore. Epidemiologists in the area noted that persons who had been vaccinated against JE were not protected, however, and that the number of cases among adults was unusual. The subsequent isolation of the previously unidentified Nipah virus, from the cerebrospinal fluid of an outbreak victim, was the turning point that led to outbreak control within 2 months. Flying foxes, which are immune to the disease, were found to be the agent by which the pigs became infected. In 1997-98 there was a fruiting failure of forest trees in Indonesia caused by the El-Nino related drought and forest fires. This resulted in the migration of the fruit bat population eastwards towards Malaysia and neighbouring regions. The transmission of the virus from flying foxes to pigs was likely due to the resulting overlap between bat habitats and piggeries in peninsular Malaysia. At the index farm, fruit orchards were in close proximity to the piggery, allowing the spillage of urine, faeces and partially eaten fruit, onto the pigs below. During 1998, viral spread was aided by the transfer of infected pigs to other farms, where new outbreaks occurred. In this outbreak, Nipah virus caused a relatively mild respiratory disease in pigs, but over 100 human deaths occurred. In order to stop the outbreak, more than a million pigs were euthanized, causing significant trade loss for Malaysia and Singapore. Since this outbreak, no subsequent cases (in either swine or human) have been reported in either country. In 2001, Nipah virus was again identified as the causative agent in an outbreak of human disease occurring in Bangladesh. Genetic sequencing confirmed this virus as Nipah virus, but a different strain from the one identified in 1999. These outbreaks were thought to be transmitted to humans through raw date palm sap, which the bats are known to lick and urinate on, as it is harvested for human consumption. The raw palm sap is used as a sweetener for cereals and grains. In the same year, another outbreak was identified retrospectively in north-eastern India, with reports of person-to-person transmission in hospital settings. Outbreaks now occur almost annually in Bangladesh and have been reported several times in India. The case fatality rate in Bangladesh has reached a staggeringly high 80%. These particular fruit bats roam over a wide area stretching from Pakistan, across South and Southeast Asia, up the coast of Southern China, and down into Australia. Climate change and other environmental factors have vastly increased the bats’ habitats. The Nipah virus is an RNA virus – other notable RNA viruses include Ebola, HIV, SARS and influenza. As such, it has a very high mutation rate compared to DNA viruses. This makes it difficult to make effective vaccines, and also makes it more likely that the virus will adapt to make its human-to-human transmission more efficient. Consequently, in the globally connected world, humanity could face a potentially devastating pandemic.